Having read the Super Size writing on the wall, McDonald's has broadened its appeal, as Julian Hilton-Johnson, corporate vice-president, corporate relations for Europe, explains to Alex Benady. here is Ronald McDonald? We are in McDonald’s new flagship branch on Cambridge Circus in central ­London. It is all tasteful earth hues – greens and browns. A couple of tourists are placing their order on a touchscreen. More screens will inform them ­within a couple of minutes that their ­breakfast (with free range eggs, of course) or their burgers or salad or fruit are ready. It is high-tech with the emphasis on ‘natural’. And Ronald McDonald, possibly the most famous brand icon of all time, is nowhere to be seen. There are no pictures in the window, no mention on the menu, no cut-outs of him adorn the restaurant and there is no hint of him in the decor. Has he been fired or made redundant? Is he in ­prison? ­Perhaps he is considered persona non-grata these days? "No, he is still very much with us," laughs ­Julian Hilton-Johnson, whose easygoing manner belies his corporate-sounding job title: corporate vice-president, corporate relations for McDonald’s in Europe. "He does make ­appearances. He is still part of the brand but he’s not quite front and centre of our marketing in the way perhaps he once was. But he is still very much there because a lot of people still really like him. He’s loved by ­children and a lot of adults have a nostalgia for him." Wherever he is, you can see why they do not want him hanging around the shop floor. He may be loved by some but he is also a symbol of everything McDonald’s does not want to be these days. His bright red and yellow costume screams ‘synthetic, plastic, fake’. And his childish appeal plays to ­concerns about obesity and diet. So like a faithful old retainer who has become a bit of an embarrassment, he has been sidelined – or kicked upstairs to the C-suite. Apparently ­McDonald’s still reveres him so much that he is sometimes referred to internally as "our chief ­happiness officer", reveals Hilton-Johnson. 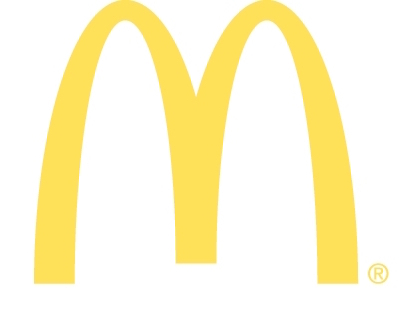 Maccy D’s is on a mission to become, in the words of its Brit global CEO Steve Easterbrook, "a modern and progressive burger company". This will ­involve selling food other than burgers and will also involve what Easterbrook calls "moving across legacy barriers". 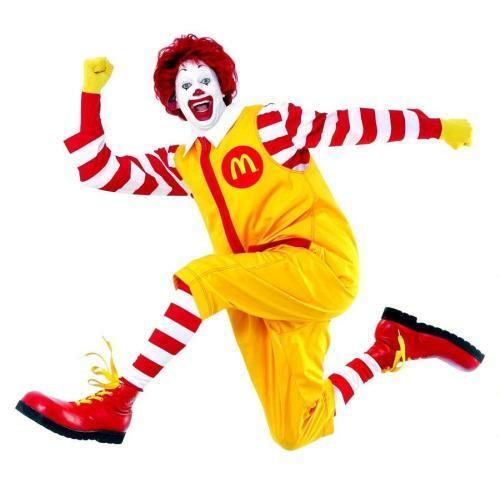 Ronald’s sidelining is just­ ­collateral damage in the push for greater ­modernity, it seems. It is Hilton-Johnson’s role as head of European comms, whose brief covers more than 8,000 restaurants and 430,000 employees in 41 different markets (number 42 Kazakhstan coming soon), to keep the world informed of these changes. But it turns out that comms is only part of his job. Hilton-Johnson joined the company 17 years ago and there are few comms people with quite the range and depth of corporate responsibility he has had. A ­lawyer by training, he headed the UK legal function. He also served as head of European HR. Now, not only does he head European comms, he is a director of McDonald’s Europe and had the mysterious title ‘chief of staff to the president at McDonald’s Europe’. "I helped the president with strategic planning and his own personal narrative and his messaging in the business both internally and externally," he explains. "It has helped me understand where we should focus and how we need to look at ­reputation in the context of the business and to adopt a more systematic and ­strategic approach. For ­example, some issues are about managing ­negatives, others are playing to strengths." So he is not simply a company spokesman; he is embedded in the warp and weft of the organisation. When it comes to change, ­McDonald’s has a phil­osophy, he ­explains: "Part of it is based on understanding what customers want and think. But listening and reacting is not enough. To some extent we have to lead them. You have to know what makes a difference to them, positively or not. Then you have to be prepared to take a few risks." But he makes it clear that despite the impressive job title, he does not have that much direct power over the markets. It is a common lament from ­senior people in big corporations. From the outside, companies like McDonald’s look like all-powerful global behemoths. From the inside the experience is more like herding cats. The limits to his omnipotence arise from the fact that food is such a specific cultural issue that ­attitudes to food and the McDonald’s brand differ radically in different markets. "It relates to very personal things like who we are, where we come from," says Hilton-Johnson. In addition, McDonald’s is not your usual ­command and control corporation – not least ­because three-quarters of it is run by franchisees who are not directly employed by the company. "We have a decentralised business by the standards of most international enterprises. We ­empower our local management. We talk about ‘freedom within a ­framework’. The job of our ­corporate leaders is to understand what that ­framework is and to make it very clear and to allow those closest to their customers to make ­decisions that are consistent with overall global priorities but that actually work in the countries where we do business," says Hilton-Johnson. The most obvious consequence of that is in the small but important variations in national offerings. A few years ago Switzerland experimented with the world’s first McDonald’s hotel. Hilton-Johnson says: "Around the same time we were also acquiring interests in other brands like Pret and Chipotle. But we ­decided it’s not about being something else but being better at what we do." Today national differences are most evident on the menu. In France they serve Charolais beef, in Spain they have an Iberian ham burger and in Italy they sell Parmesan cheese. "We have introduced espresso, fruit smoothies, frappes. If you look now at what McDonald’s offers (Europe-wide) it is very different from ten years ago." That is just as well. A decade ago McDonald’s was the poster boy for anti-capitalist sentiment. Its products were seen as synthetic and bad for the ­environment. The 2004 film Super Size Me showed how its food made us fat and ill. With more than 35,000 ­restaurants worldwide its ubiquity was destroying local diets and trampling local ­culture. The jobs it offered to 1.7 million employees were thought to be of such poor quality that ‘McJob’ became a generic term for dead-end employment. In the UK the company’s reputation still had not recovered from the ‘McLibel’ case of the 1990s in which a judge ruled that the company exploited children with its misleading advertising, was ­culpably responsible for cruelty to animals, hostile to unionisation and paid workers low wages. The chattering classes may remember all this like it was yesterday, but for the snacking classes it looks like ancient history. In the past seven years alone McDonald’s European turnover, including its franchisees, has grown by 23 per cent from $21.3bn to $26.2bn. The UK performed even better, with the company growing sales 26 per cent from £1.13m to £1.43m between 2009 and 2014. Operating profits of the UK company rose from £126m to £213m over the same period. Today, Hilton-Johnson faces a broad range of comms issues. But when it comes to taking the initiative, McDonald’s also has to explain its ­social function. "Sustainability is enormously ­important. We have the zero waste to landfill ­ambition in the UK," he says. But the biggie for him is the deeply unsexy ­question of supply chain ­management. "We talk about a three-legged stool: the company, our ­franchisees and our suppliers. "Half a million beef farmers supply us in Europe. The way we work with suppliers enables us to ­invest and guarantee quality. That’s a big part of why McDonald’s was not implicated in the horsemeat scandal. Of course the mechanics of the supply chain are not directly comms issues," he agrees. "But the food that we serve and the way that it is grown and produced is a comms issue because it is ­important to our ­customers." This approach roots McDonald’s in its markets, it addresses quality and therefore health and ­obesity issues and it helps McDonald’s to sidestep arguments about it being a destructive alien force. Nowhere has this strategy been more successful than in France where 15 years ago angry mobs were destroying McDonald’s branches. After more than a decade of high-profile interventions at agricultural shows, courting farmers, and putting more French produce on the menu, France is now ­McDonald’s second biggest market outside the US. Maccy D’s has successfully integrated itself into French society. Similarly, much effort has been put into altering the perception of work at McDonald’s, he says. What were previously dismissed as ­‘McJobs’ have been transformed into promising career paths with proper training and qualifications: "We talk about the opportunity that McDonald’s provides firstly through growing with the ­company and secondly through qualifications." The reason he wants to constantly talk about what seem to be operational rather than comms questions is that, in his view, operations are the basis of good comms: "One of the key things we have learned is the sequencing of actions and comms is very important. There are some brands that choose to advertise their way out of a problem. But what is important is that you act first and speak ­second. The communication has to come later. An important part of getting it right is to get your own people on board before you start going externally. That’s ­even more true now that each employee has the ­opportunity to be a brand advocate." The company may be busy setting its house in order, but its size and reach have kept it firmly in the regulatory firing line. 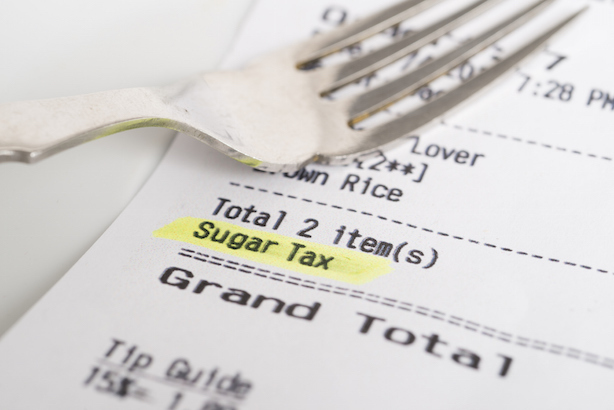 So problems such as the proposed junk food tax in the UK and its ­corporation tax arrangements also wash up on Hilton-Johnson’s desk. He says he has 75 people working the function, across all the countries in Europe, including one in ­Brussels although he does not want to discuss it in detail because his team is currently being restructured. There is a widespread perception that companies like McDonald’s operate behind the scenes fixing legislation, tilting the legal playing field in their favour. Portland is the UK public affairs agency but perhaps surprisingly Hilton-Johnson denies that McDonald’s uses lobbyists: "Lobbying can mean different things to different people so we don’t tend to use it as a term. We do have government relations and we manage many issues. But if there are specific pieces of regulation where we are asked to comment or bel­ieve we have a legitimate voice, we will contribute." When it comes to the debate around a junk food or sugar tax, McDonald’s has spent the past few years following Hilton-Johnson’s dictum of "action before words". The main defence has been reducing sugar and fat in its ‘core menu’, offering healthier options and putting clear nutritional information on all products. These steps allow it to argue that the issue is now one of consumer choice. "Demonising or taxing specific nutrients is not the right tool to address obesity and offers a simplistic solution to a complex problem," says Hilton-Johnson. The other current area where McDonald’s has not quite convinced the world of its whiter-than-whiteness is in the area of tax. McDonald’s has been accused of avoiding more than £700m worth of taxes across Europe by channelling billions of pounds through Luxembourg relating to ‘franchise payments’ for the McDonald’s brand. Hilton-Johnson points out that despite misleading headlines, the European Commission investigation is looking at Luxembourg, not McDonald’s. McDonald’s, he argues, is a good corporate citizen: "McDonald’s is ­arranged on a country by country basis. In every market where we operate we pay taxes on our profits. If you add it all up, between 2010 and 2014 in Europe we paid U$2.2bn in corporate income taxes, an average of 27 per cent of profits. And 75 per cent of our restaurants are owned and operated by franchisees. We also pay all other taxes." The key phrase there is "27 per cent of profits". The income of the Luxembourg company is from the use of brand and other IP. 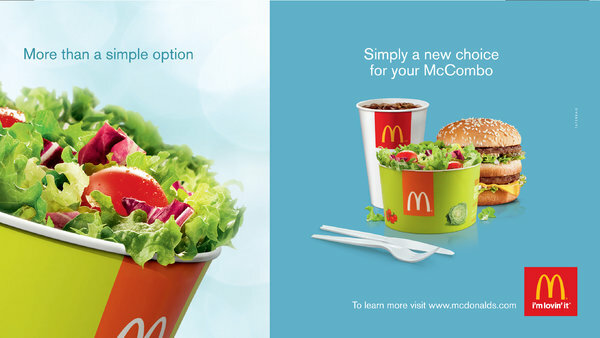 Obviously it is right that ­franchisees should pay McDonald’s for its brand name. But in common with other multinationals, ­McDonald’s charges its own operating companies to use its brand name. Those charges are then offset against profits, significantly reducing its tax bill. Whatever the outcome of the European Commission probe, it's likely that this will be another reputational challenge for Hilton-Johnson and his colleagues to sink their teeth into over the coming months.